Businessman Cartoon Image collection. 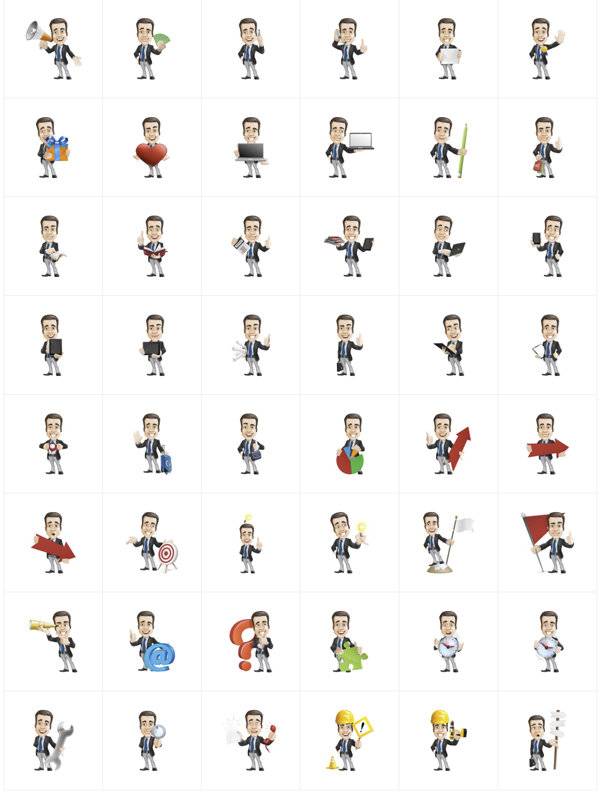 This Smart businessman is made of vector shapes and comes in 106 premade poses. He is smiling, intelligent, he is dressed in a suit with a shirt and a tie. His great for business-related designs. You can use this business character in a huge variety of projects because he comes with more than 100 poses.